Biobased packaging is here to stay. 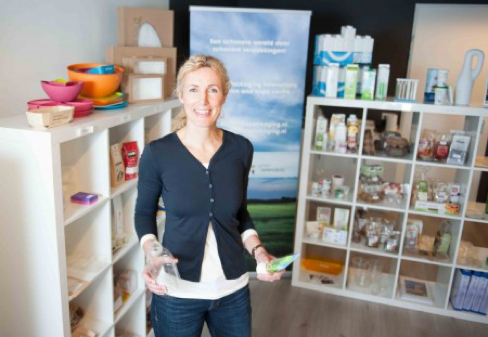 We recently interviewed Caroli Buitenhuis, an expert in packaging and circular concept development, to learn more about biobased packaging and to find out how we can sustainable package our organic skincare and haircare as artisan brands. Caroli is not only an expert in biobased packaging, but is also the initiator of the Bioplastics Hub, a Dutch consultancy hub that advises brands who want to make the transition from fossil-based to bio-based packaging options. Sitting at a table in Caroli’s Bioplastics Hub in Amsterdam, we are surrounded by plastic containers; containers for food, household products and cosmetics. The Bioplastics Hub was set up by Green Serendipity and is powered by the Dutch Ministry of Economic Affairs. The aim of the Hub is to inform on bioplastics and biobased packaging. Large and small companies from all over the world consult with Caroli to find the best sustainable packaging solutions for their products. The Bioplastics Hub advises on bioplastics and bio-based packaging whilst providing essential answers about the whole chain (from raw material until end-of-life), methods, facts, communication, certification, advantages and to connect parties within the whole supply chain. You are an expert in biobased plastic. Can you tell me more about your work? It is really important to know the difference between plastics. Let us define those first. There are fossil-based plastics and biobased plastics. Fossil-based plastics are made from fossil fuel derived materials, such as oil. Biobased plastics are made from renewable ingredients, such as sugar cane, corn, sawdust or microbes. Starch from factories that process sugar canes and potatoes is also a large contributor to biobased plastics. Both plastics can be biodegradable. I see a lot of packaging around me. 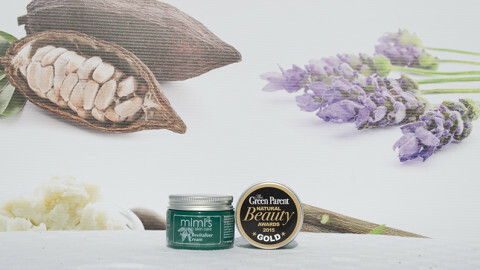 Can you tell me more about the options that we have to package cosmetics? 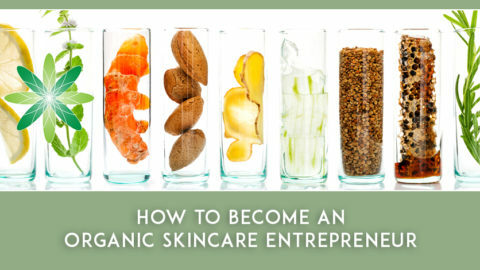 The options for skincare entrepreneurs are quite limited and differ from product to product due to the requirements. For example, if you sell a formulation that is UV-sensitive, it is best that you use non-transparent packaging. The first thing you need to think about for all cosmetic products and their packaging, is where you want to sell them. 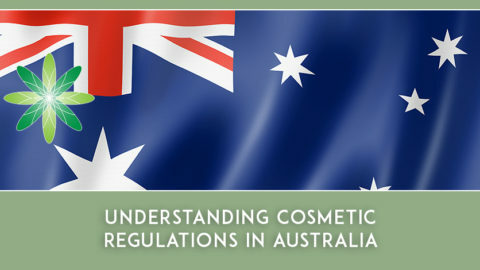 This consideration is important because of the waste phase of your cosmetic product. What does the consumer do with the packaging when the product is empty? Does she throw it in the bathroom trash bin? Where does it go after that bin? Consumers don’t see the difference between a biodegradable plastic or a non-biodegradable plastic. And you shouldn’t expect them too either. Many consumers want more biodegradable plastics because we already have so much non-biodegradable plastics polluting our lands and oceans. We want to see plastic that you can throw into your green waste bin where it can be composted with your food waste. I appreciate that this concept is idealistic! The main aim for composting organisations is to make good compost that we can use to fertilise our fields. Waste organisations only want you to add biodegradable plastics to the green waste bin that add to that aim. They like coffee pads with coffee in it or plastics that help to collect green waste, like biodegradable bags for in a green bin. Unfortunately, cosmetics don’t (yet) make good compost and the packaging doesn’t help collect green waste, so choosing biodegradable packaging for your cosmetics is not yet the most sustainable option. 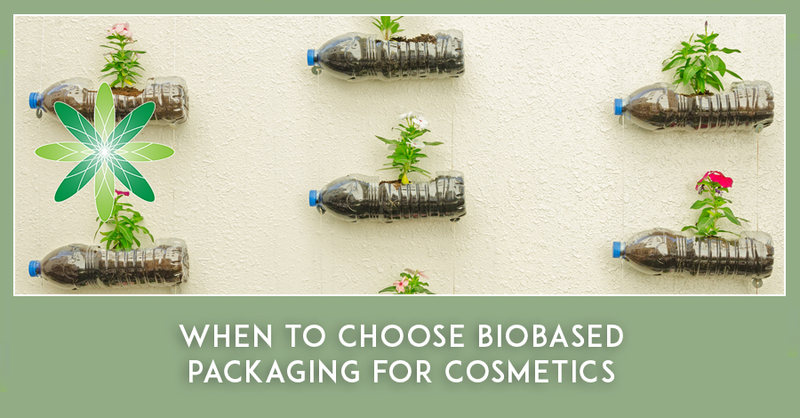 Is it then better to package cosmetics in a non-biodegradable plastic? No, not yet. In the Netherlands we are ahead in terms of waste processing. For example, we don’t use landfills anymore. Most countries however still heavily rely on landfills for waste disposal and you should therefore take the waste management practices of your country into consideration when choosing the right packaging for your cosmetics. After all, when an empty cosmetic container is thrown away, is it placed into recycling bins (as happens in the Netherlands) or is it thrown away in the general waste and does it end up in a landfill? Recycling is currently the most sustainable choice. People think glass is the most sustainable choice, because it can be recycled. The process of recycling glass costs a lot of energy. The CO2 footprint of plastic is far better than glass. Recycling plastic doesn’t need those high temperatures glass needs and is lightweight in transport. Even fossil PET is a more sustainable choice then glass. Most Asian countries don’t have a waste infrastructure. They don’t provide plastic recycling or composting installations. Almost all Asian waste ends up in a landfill. If you want a sustainable shampoo bottle in Asia, a biodegradable biobased plastic is an excellent choice. For example, the Taiwanese brand O’right has won designing awards for their caffeine shampoo bottle. The bottle is made with the pulp of the coffee they use in their product and there even is a coffee bean in the bottom of the bottle. If the country in which you want to sell most of your cosmetics products has a strong plastic recycling ethos, then it is a great choice to use recycled plastic, either fossil-fuel or biobased. It is always a good idea to reuse the materials we have in excess. There is too much plastic in the world, so recycling that plastic does help the planet. Sourcing eco-friendly packaging with a smaller eco footprint is proving to be difficult for small businesses. Is this something your company can help with? That is a hard question to answer. Most packaging is designed and made for a producer and not sold in smaller quantities. I know one here in the Netherlands, and that is Dumocom. Another packaging company is Flestic. And in Scandinavia, a start up is working on beautiful cosmetic packaging line Sulapac. Eco-friendly packaging is coming to the world of cosmetics, but we still need to be patient. Do you have some top tips for small start-up brands who are looking to package their products in sustainable packaging? My main tip is to take care of the quality of your cosmetic product first. The most important thing is that you choose a packaging that fits your product’s needs. Then, as you grow and you need more packaging, new possibilities emerge and you can start to invest in more innovative, sustainable and even biobased packaging in larger quantities. Before you reach this level, be transparent with your visitors and customers and tell them that you are doing the very best you can as a small start-up – tell them that you need their help to improve. How can brands contact you to collaborate? I advise brands and help them chose the best option packaging for their products. You are welcome to visit me here at the Bioplastics Hub in Amsterdam, but I also often do Skype consultations with brands from all over the world. 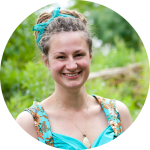 Priscilla Rolvers is a Herbalist as well as a Tutor at Formula Botanica, where she helps our students to become better organic cosmetic formulators. 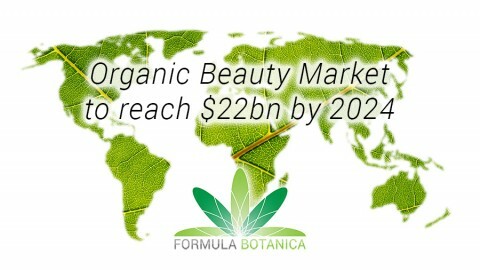 Read more about the Formula Botanica Team. What’s it like to study at Formula Botanica?